The singer tells the Spanish edition of Cosmopolitan, "Pues si, la verdad es que si, estoy embarazada." attends the 2014 Billboard Music Awards at the MGM Grand Garden Arena on May 18, 2014 in Las Vegas, Nevada. 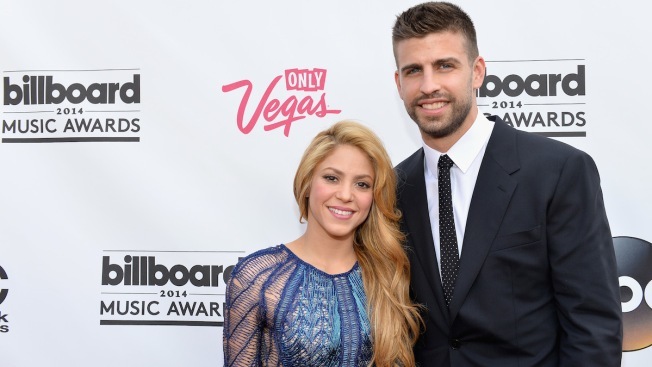 It's official: Shakira and Gerard Pique are expecting their second child! Speaking in her native tongue, the singer tells the Spanish edition of Cosmopolitan, "Pues si, la verdad es que si, estoy embarazada." The singer also posted the news on Facebook. The revelation comes after weeks of pregnancy speculation. In April, Shakira said she was too busy with her work commitments to have another baby. She and Pique welcomed son Milan in January 2013. "If it weren't because of my music projects, I would be pregnant already," she told Latina. "I would love to have eight or nine kids with Gerard--my own futbol team." Motherhood has changed Shakira. "When you have a baby, when you feel his love, you feel so at peace with the world," she explained. "You just want to share the good news and share how happy you feel." Will the 37-year-old diva and the 27-year-old Spanish soccer player ever tie the knot? "We already have what's essential, you know? We have a union, a love for each other, and a baby," Shakira said in Glam Belleza Latina's summer issue. "I think that those aspects of our relationship are already established, and marriage is not going to change them. But if I'm ever going to get married, he's the one."